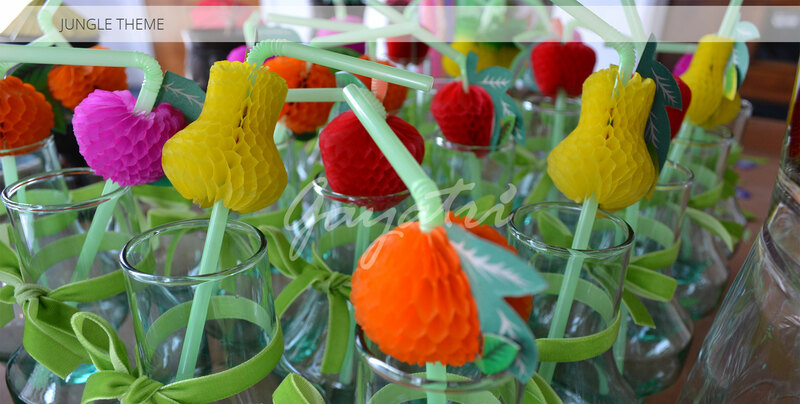 Amongst the themes available for children’s parties, bringing the adventure and excitement of the jungle into the indoors is one of the most popular choices for young girls and boys alike – and our bespoke jungle theme offers a fantastic number of twists upon this much-loved twist on the children’s party. 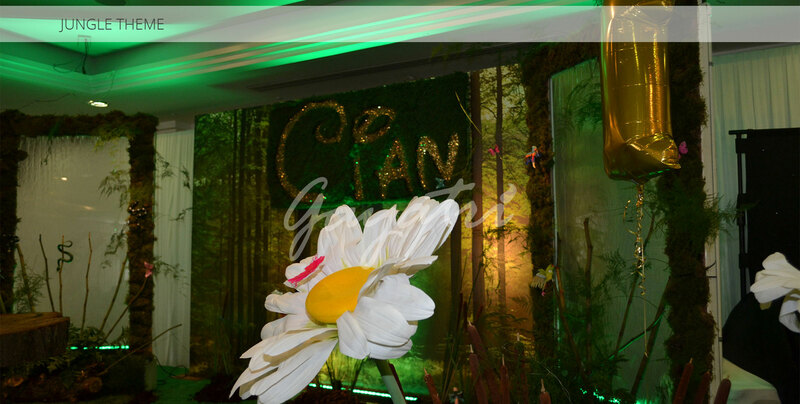 Offering themed food stands and lush décor that will enrapture young and old alike, we will be happy to offer our jungle theme to anyone who wants to bring the thrill of the wild into the safety of an indoor party. 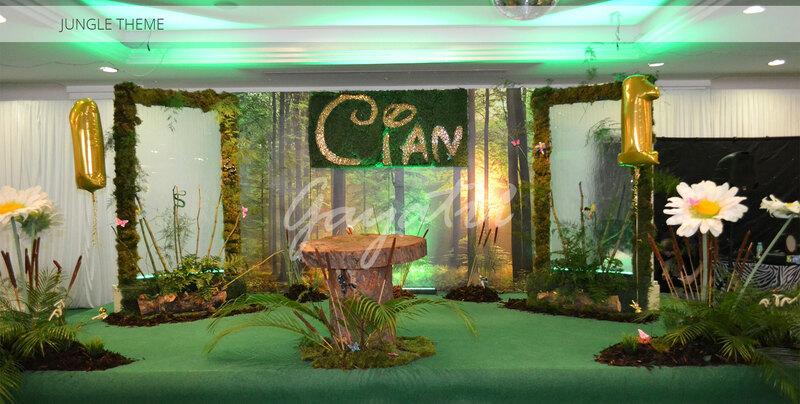 A perfect choice for children’s birthday parties, we can create fantastic canopies and deep jungle thickets that your kids will love playing in – while staying within sight at all times! 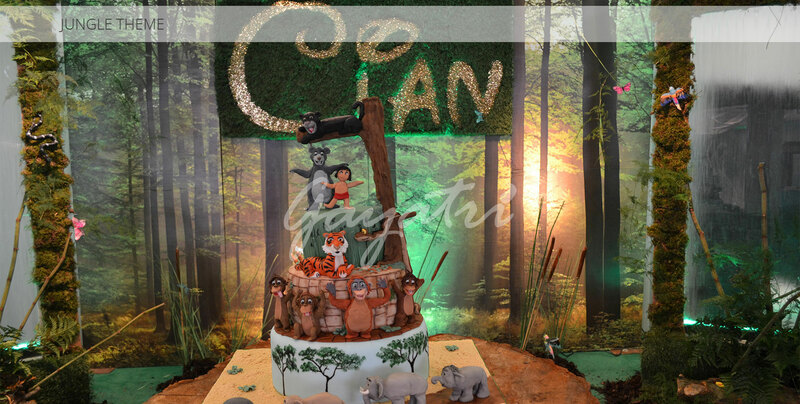 We offer a wide range of themes for a number of different party occasions, and we are particularly proud of our wild and wonderful jungle theme – using high quality décor and table arrangements to make your child’s party fun and easily manageable, we also aim to make any party one to remember – meaning that our jungle theme will not only captivate children on the day, but will also provide fantastic and fun memories for years to come. © Copyright Gayatri Weddings & Events 2017. All rights reserved.